New Delhi: Finance minister Arun Jaitley on Friday said the goods and services tax (GST) has made doing business easier for traders by expanding the market place and reducing tax compliance burden. He further said that the two structural reforms — GST and demonetisation — will benefit the economy in the medium and long-term. “GST has made doing business and trade very easy. The market size for every trader has grown. Now whole country is his market,” Jaitley said while responding to questions regarding the second quarter economic growth estimates. Reversing a five-quarter slide in Gross Domestic Product (GDP) growth, the economy bounced back from a three-year low to expand by 6.3% in July-September as manufacturing revved up and businesses adjusted to the new GST tax regime. The economic growth rate had slipped to three-year low of 5.7% in the first quarter of 2017-18 financial year. The GST, the minister said, has also reduced the compliance burden on traders as under the new regime a trader is not required to file multiple tax returns. The tax rates too are being rationalised and a trader will no more be required to confront inspectors, he added. Jaitley further said that impact of demonetisation of high value currency notes of Rs500 and Rs1,000 in November last year was limited to one or two quarters. The impact of GST was limited to one quarter, mainly because of de-stocking by corporates. “The GST impact was only for one quarter mainly because of destocking. That was our assessment. The (GDP) figures indicate that. Structural reforms benefit in the medium and long term. 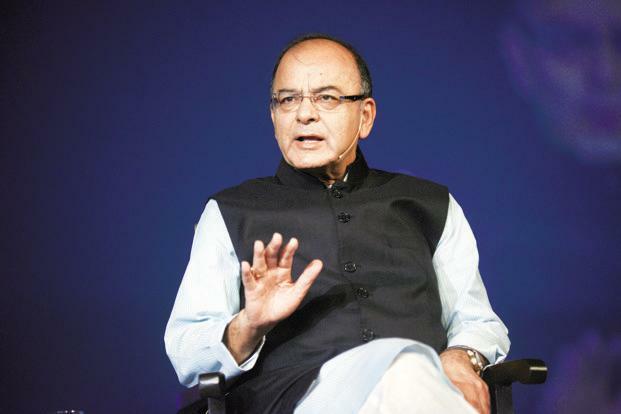 Both these steps will benefit the economy,” Jaitley said.